Thank you for supporting Christel House. 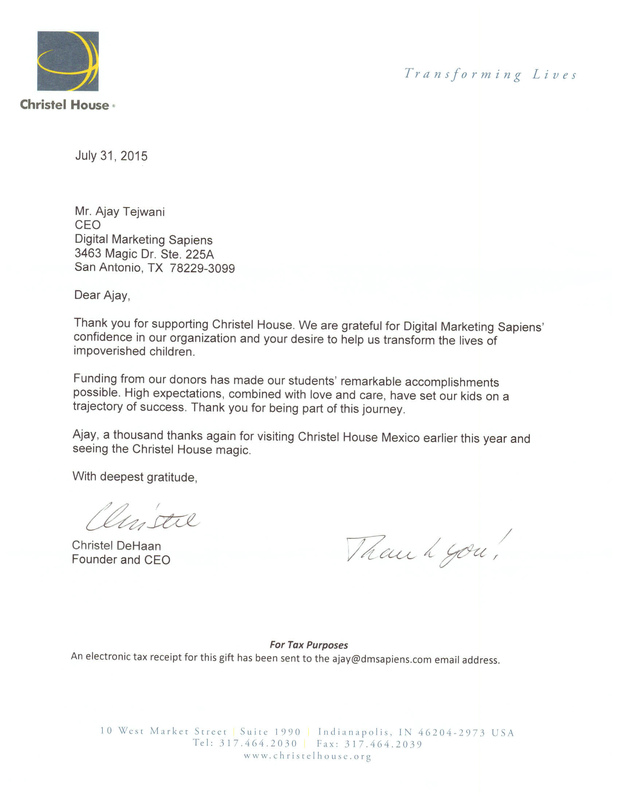 We are grateful for Digital Marketing Sapiens confidence in our organization and your desire to help us transform the lives of impoverished children. 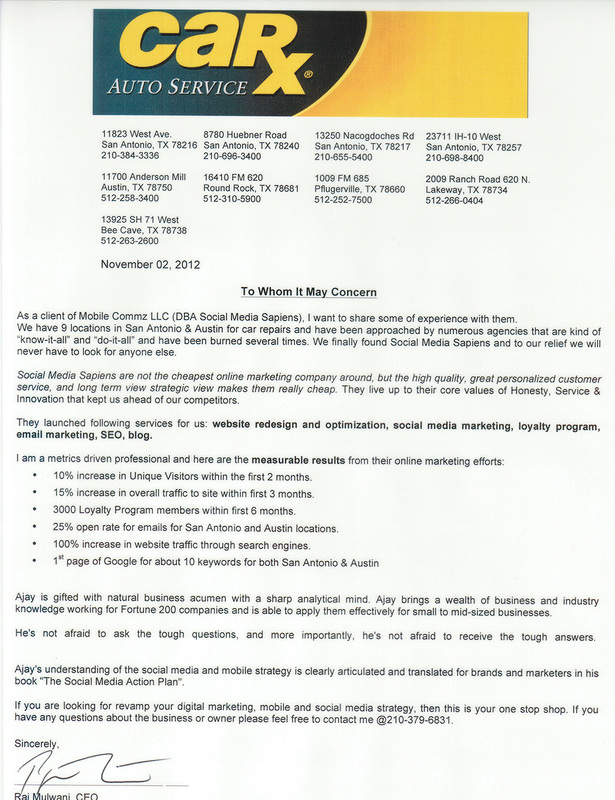 We hired Digital Marketing Sapiens for branding services for our recently launched Urgent Care Centers. 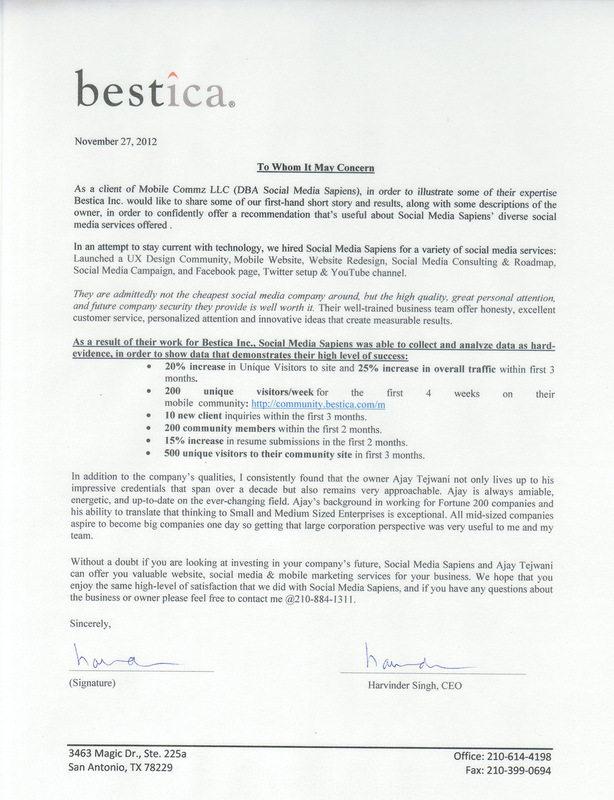 We are lucky to have them as our business partners. We are delighted with Digital Marketing Sapiens’ work on redesigning our website for team up challenge www.teamupchallenge.com. One of the premiere initiatives of Silver & Black Give Back. 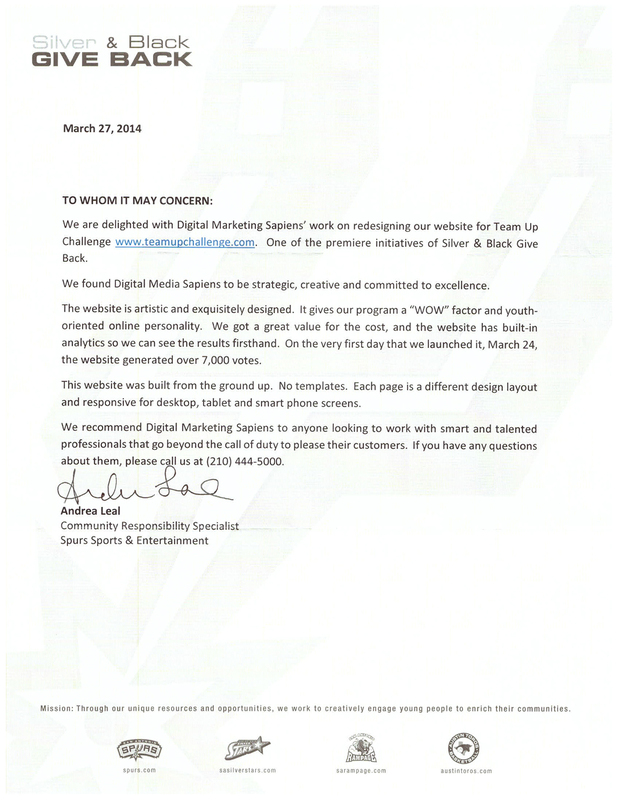 We found Digital Media Sapiens to be strategic, creative and committed to excellence. It is my pleasure to recommend Mobile Commz LLC (DBA Digital Marketing Sapiens) for web design, mobile site and online marketing services. They have provided us with excellent customer service, including restoration of our website within hours of it being hacked. 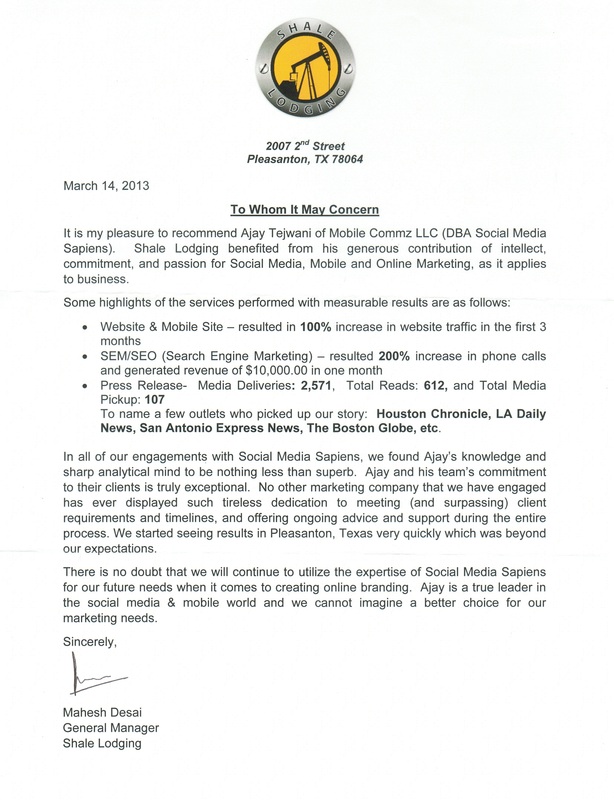 To Whom It May Concern, It is my pleasure to recommend Ajay Tejwani of Mobile Commz LLC (DBA Digital Marketing Sapiens). Shale Lodging benefited from his generous contribution of intellect, commitment and passion for Social Media, Mobile and Online Marketing, as it applies to business. 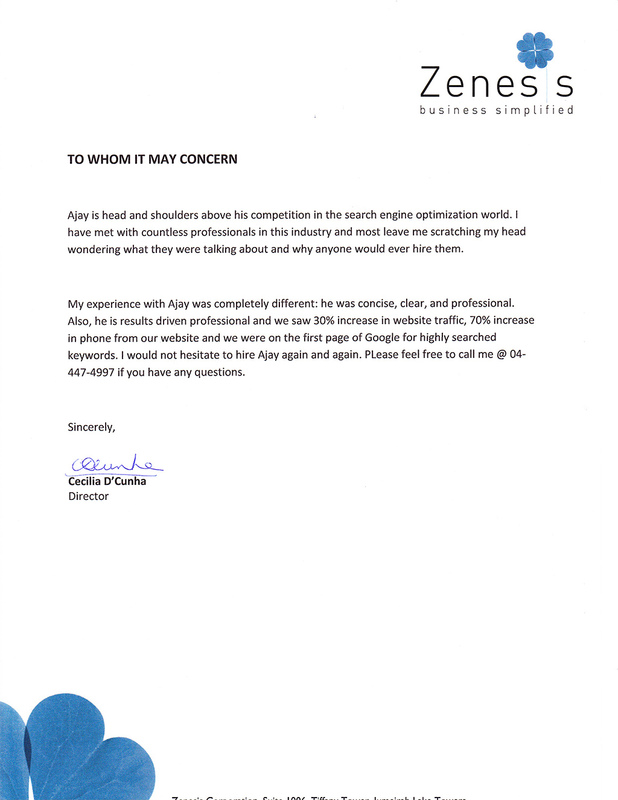 Ajay is head and shoulders above his competition in the search engine optimization world. I have met with countless professionals in the industry and most leave me scratching my head wondering what they were talking about and why anyone would ever hire them. 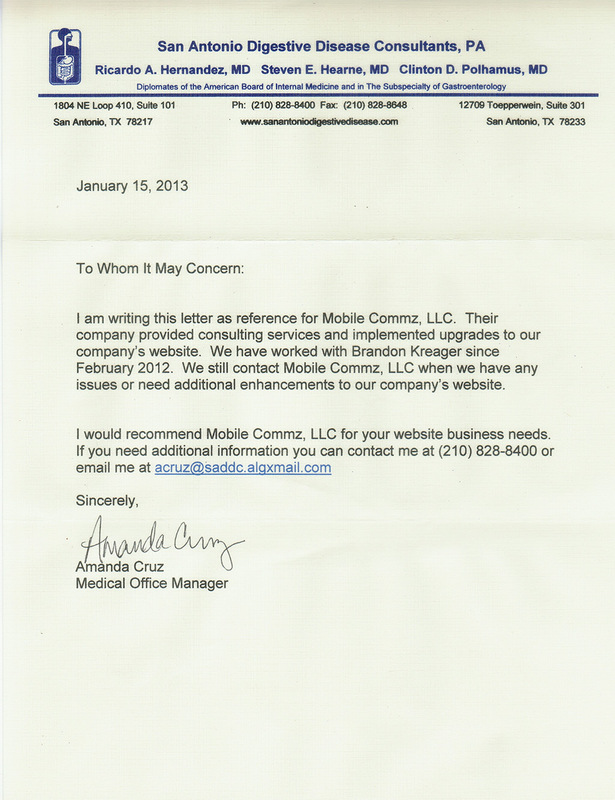 I am writing this letter as reference for Mobile Commz LLC. 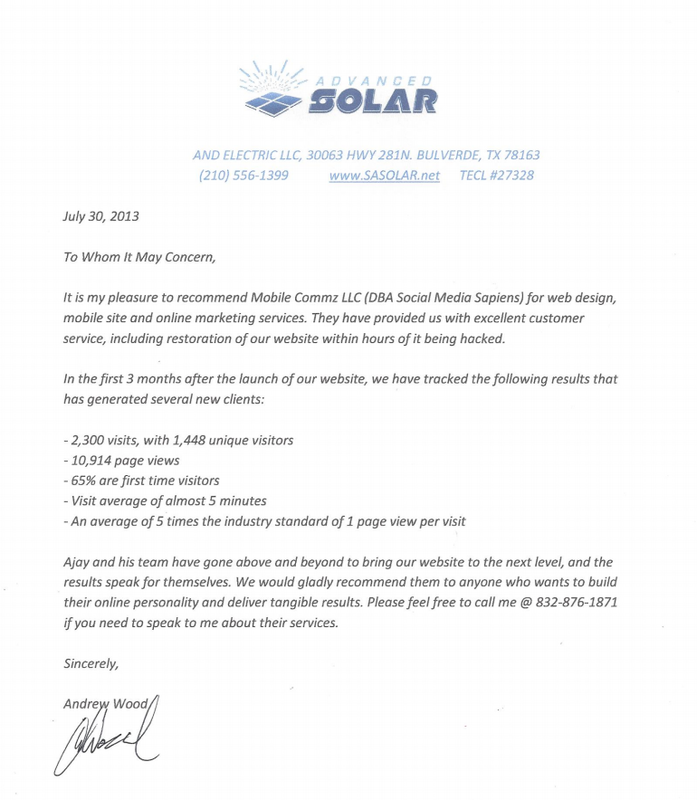 Their company provided consulting services and implemented upgrades to our company’s website. We have worked with Brandong Kreager since February 2012. 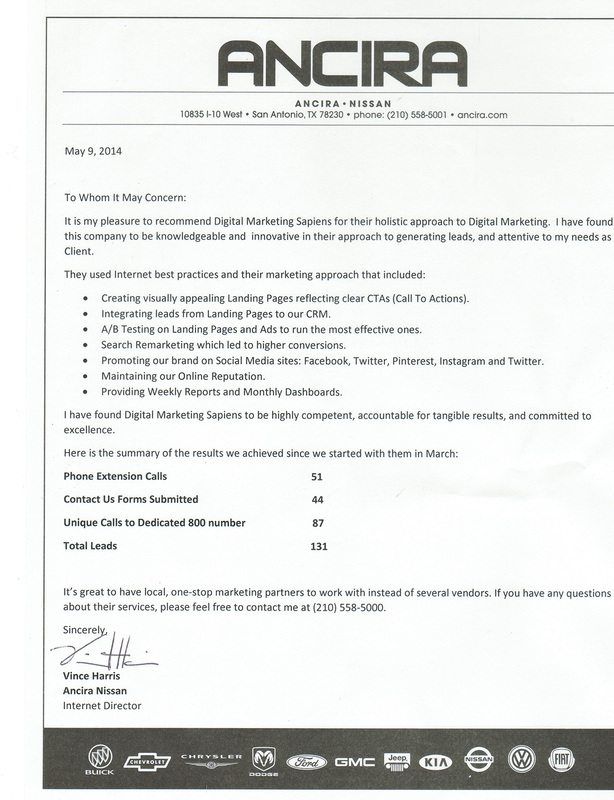 As a client of Mobile Commz LLC (DBA Digital Marketing Sapiens), I want to share some of experience with them. 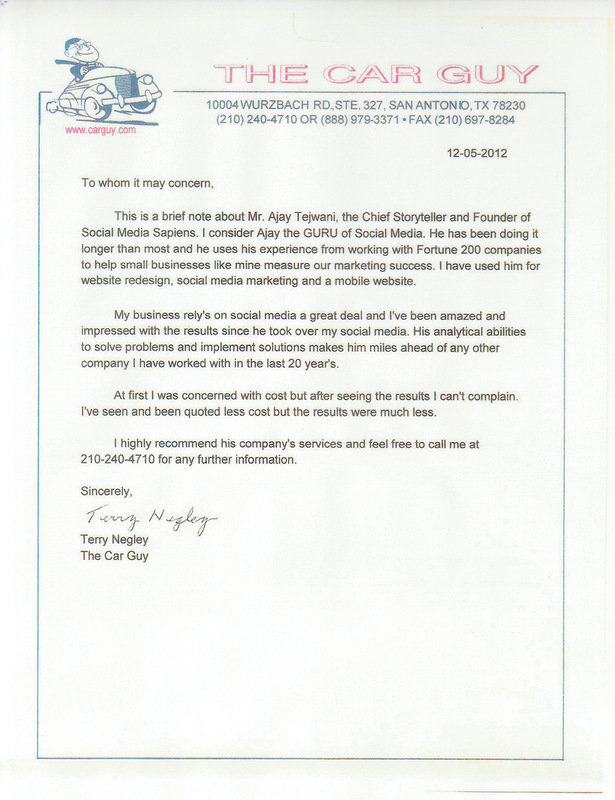 We have 9 locations in San Antonio & Austin for car repairs and have been approached by numerous agencies that are kind of “know-to-all” and “do-it-all” and have been burned several times. 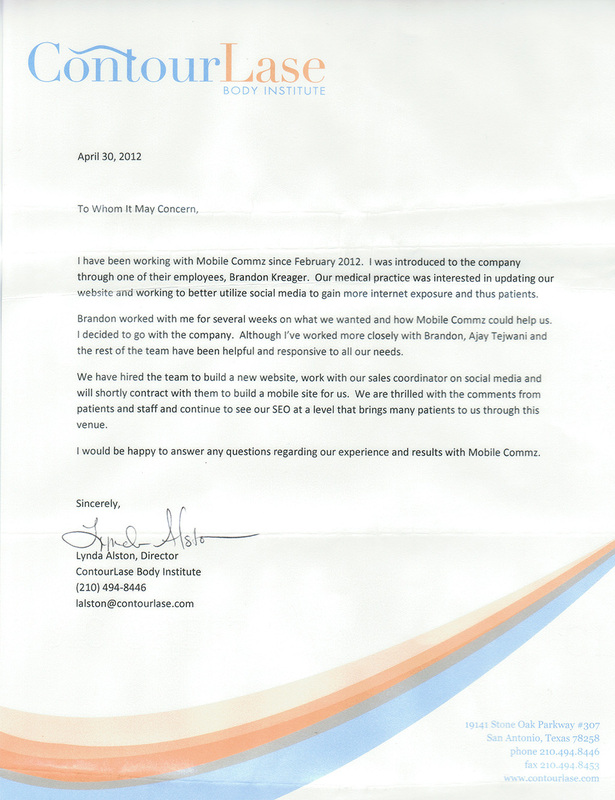 I have been working with Mobile Commz LLC since February 2012. I was introduced to the company through on of their employees, Brandon Kreager. 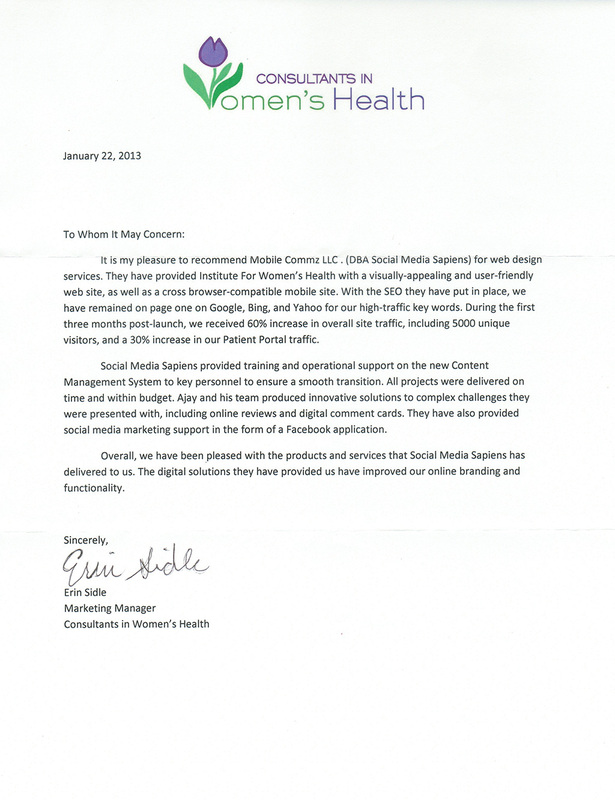 Our medical practice was interested in updating our website and working to better utilize social media to gain more internet exposure and thus patients. 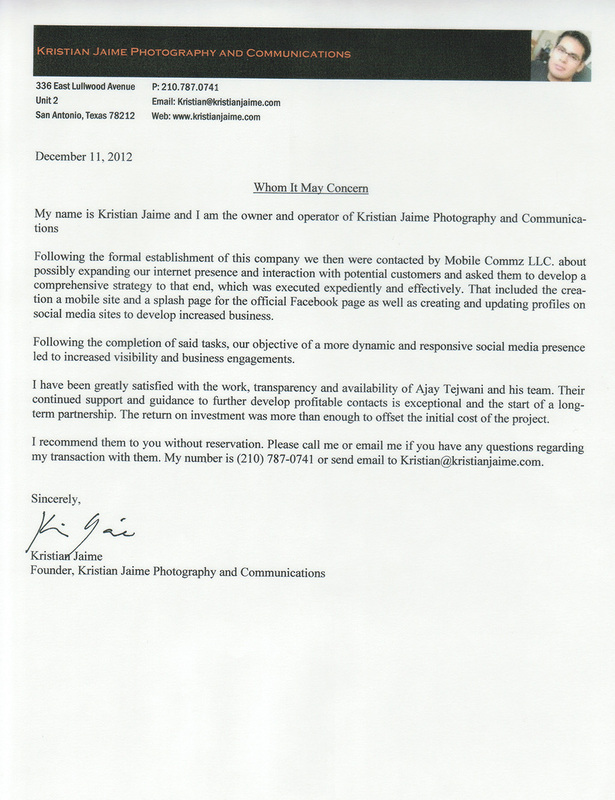 My name is Kristian Jaime and I am the owner and operator of Kristian Jaime Phorography and Communications. 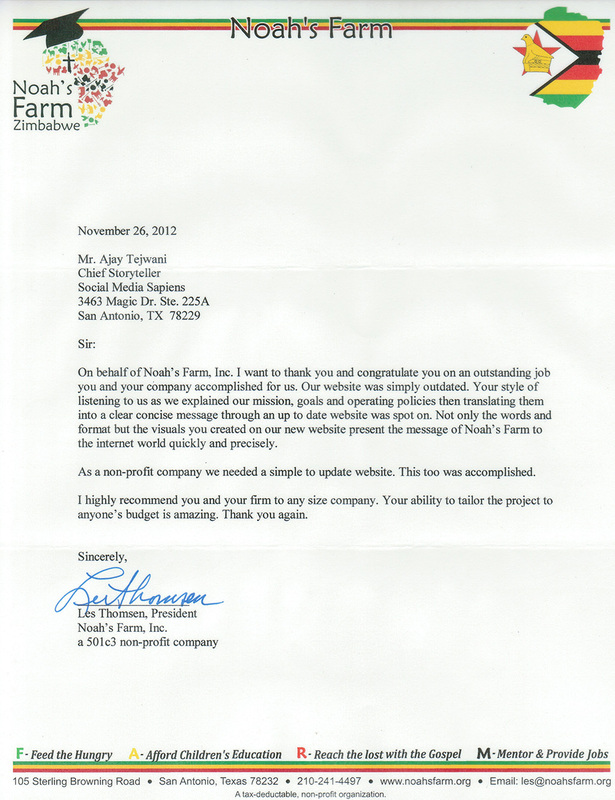 On behalf of Noah’s Farm , Inc. 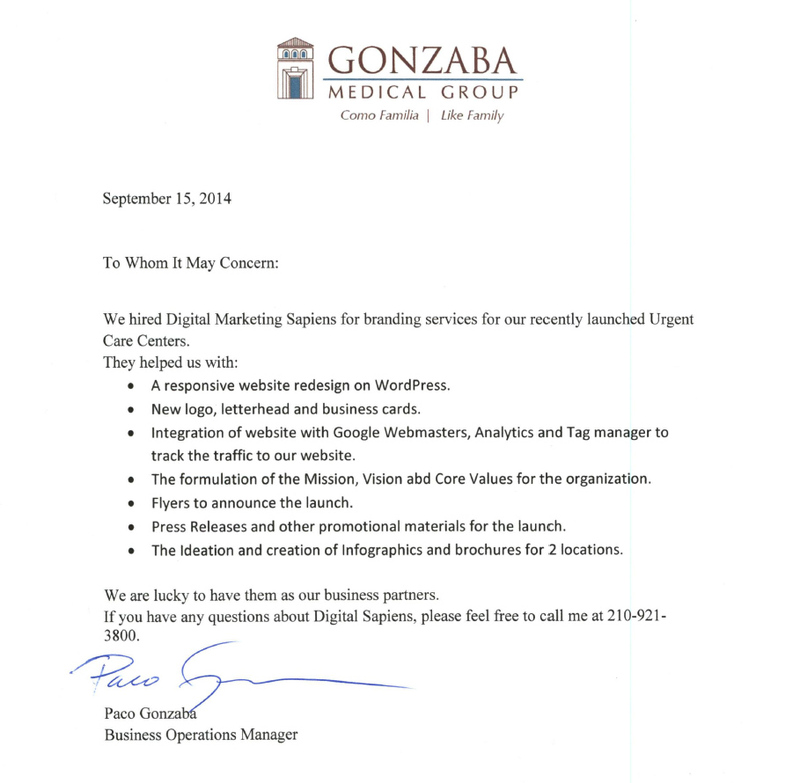 I want to thank you and congratulate you on an outstanding job you and your company accomplished for us. Our website was simply outdated.